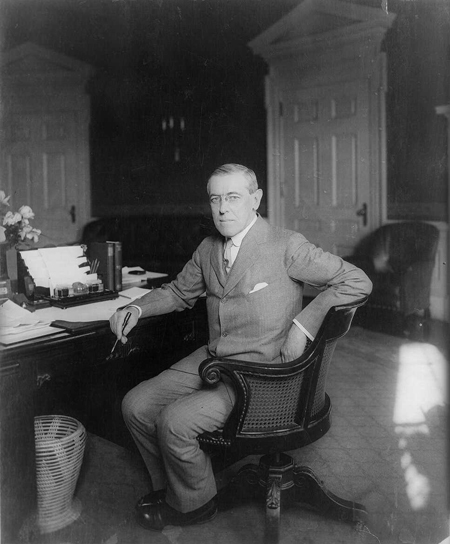 Today in History–December 28–the Library of Congress features Woodrow Wilson, born on this date in 1856. Learn more about our nation’s 28th president (1913-21) and Nobel peace prize winner by visiting the Today in History section then click the links below to access more stories and primary sources about President Wilson. “Woodrow Wilson is Made Standard-Bearer of Democratic Party” The Times Dispatch, July 3, 1912. “Wilson Becomes President as Many Thousands Cheer” The Washington Times, March 4, 1913. “President’s States U.S. Peace Terms” The Washington Times, January 8, 1918.